Copy of 2008 Income Tax Return if possible. Is Foreclosure Mediation Right for You? 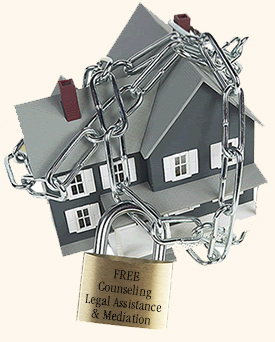 Providing housing counselors, lawyers, and mediators to homeowners facing foreclosure. The Foreclosure Mediation Hotline is open from 8 a.m. to 6 p.m. Monday through Friday. If the hotline is busy due to heavy call volume, visit www.lsnjlaw.org/foreclosure and complete the online form. Someone will get back to you as soon as they can. All submissions are responded to in the order they are received. Quiero llenar la encuesta sobre la ejecución hipotecaria en español. Social Security announces it’s newest online service – an application for Medicare benefits. For a variety of reasons, more and more Americans are choosing to delay receiving Social Security retirement benefits past the Medicare eligibility age of 65. To apply online for Medicare, go to www.socialsecurity.gov and choose Retirement/Medicare under the header, “Click Below To Apply For.” You will be asked a brief series of questions. If you have a question or need additional information, there are convenient “more info” links. When you’re done, just click the “Sign Now” button to submit the application. There are no paper forms to sign, and usually no additional documents are required. If more information is needed, Social Security will contact you by phone or letter. The ArtSpace program of HomeFront is pleased to announce an upcoming art and poetry exhibit that will explore the reality of homelessness and poverty from the perspective of artists who reside in homeless shelters operated by HomeFront. 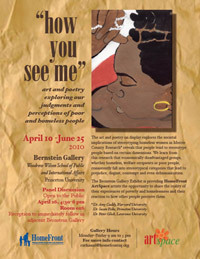 The location of the Art & Poetry exhibit is in the Bernstein Gallery at Princeton University’s Woodrow Wilson School.